Milwaukee power tool Corp., offer world class heavy duty power tools since 1924. Jigsaws come in handy when we need a pattern to decorate the wooden walls & stuff. Milwaukee jigsaws have a wide range of trusted customers. 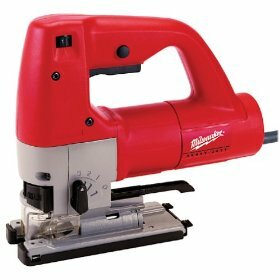 Milwaukee does not only produce cordless & corded jigsaws that meet professional demands but also design jigsaws that meet "home project" requirements since jigsaws are also used to mend furniture & other articles at home. 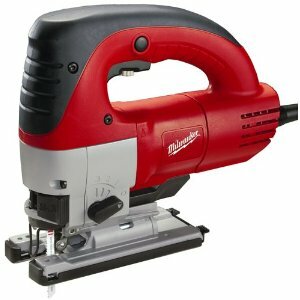 Milwaukee 26 series are the jigsaws that are currently in demand. Apart from that, there is the M series which are the cordless ones. 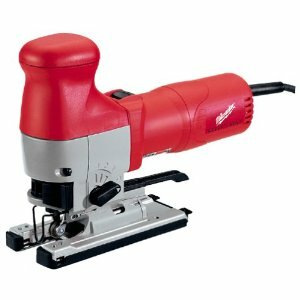 Milwaukee power tool also produces top handled & right handled jigsaws considering the convenience of even left handed & ambidextrous people. 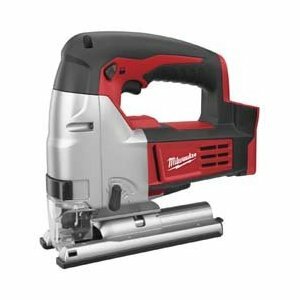 Milwaukee 26 series jigsaws' main advantage over its competitors is its flawless efficiency to work brilliantly with any kind of blade that is inserted. The motor co-operates very well even with blades that are used to cut ceramic tiles. 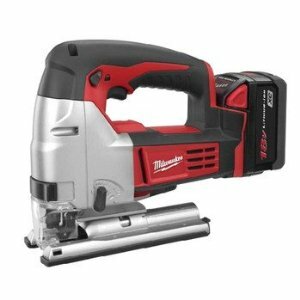 Both Milwaukee 26 & M series come with an LED light & dust blower which make it easy to maintain the cut along the line. The case that is given along with all the Milwaukee jigsaw models is strong & sturdy with secure metal latches. It has space for extra blades & other accessories that the user can add on later. The tool is heavy enough to be in place as the cutting progresses. This results in accurate & neatly finished cuts. The tool-less blade changing system is a little different from the other tools available in the market. It involves a "lever mechanism" which is a one step blade changing process. The balanced weight of the Milwaukee 26 series neutralizes the vibrations, thus making it smooth. Though, some models of the M series do produce some amount of vibrations accompanied by nominal sound. The motor is powerful & the adjustments are easy. The manual is pretty helpful & gives clear cut instructions for even the complicated processes. Most models of the Milwaukee 26 series have a very bad grip due to the absence of rubber or similar materials to envelope the handle bars. The tool starts slipping out of the hand & cutting away from the line. The positioning of the power switches in all of the Milwaukee models is absurd as they are not placed in an easily accessible region. Especially in the 26 series, since pushing 'in' the button signifies ON there are good chances that the tool might get switched on unintentionally. The case contains 'only' the space required for additional tools where as the buyer expects for the so called "kit" to contain accessories when they purchase the jigsaw. A major drawback of the M series is that inability to use the commonly available Nickel-Cadmium batteries. One particular model in the Milwaukee corded 26 jigsaw series seems to be particularly flimsy, owing to its intentionally made sleek design. This makes it look like a weakling among the other tools. Thus these jigsaws can by all means pass off for a good buy!! Return From Milwaukee Jigsaws Page to Home - Finishcarpentryhelp.com.